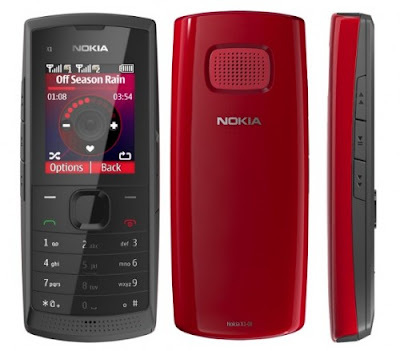 The Nokia X1-01 is a music Phone with Dual sim and is mainly aimed at youth or teenagers.It provides a huge speaker on the back of the phone, which can deliver up to 106 phon without having any jitters. 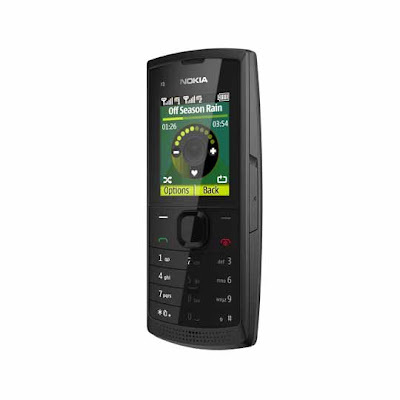 The Nokia X1-01 runs on Series 30 operating system and has an SD card slot, so you can upgrade the storage upto 16 GB. It offers FM radio, MP3 music player with dedicated music keys and one-click creation of a favourite playlist, 3.5mm AV jack for headphones/loud speakers, a flashlight on the top. In addition to remembering the settings for up to five separate SIM cards, the Nokia X1-01 also lets you give each SIM its own logo, music signature or ringtone.It will be available this Quarter in India, China, South-East Asia/Pacific region, Middle East and Africa, Eurasia and Brazil.It cost will be €34/2200INR(with out tax). Tags:Nokia X1-01, Nokia X1-01 features, Nokia X1-01 images, Nokia X1-01 specifications, Nokia X1-01 review, Nokia X1-01 details, Nokia X1-01 price, Nokia X1-01 availability, Nokia X1-01 images, Dual sim phones, Nokia Dual sim phones, Dual sim phones from Nokia.